Made in Heaven, Amazon Prime’s grandest bet to woo Indian audiences, resonates deeply despite its flaws. That’s because it is a sharp critique of what Indians take for granted: that our families are perfect. Think of a ‘Happy Indian Family’. What do you see? A quick montage of Sooraj Barjatya and Karan Johar movies where duty comes first and parents are the only truth. The trials and tribulations of a joint family, which are always resolved through happy endings. And of course, the teary-eyed reunions between contrite children and expansively forgiving parents. The trope of family sacrifice – right from the tragedies of Mother India to the dramas of Kabhi Khushi Kabhie Gham – has dominated popular culture. Until Indian filmmakers like Zoya Akhtar discovered the fun in dysfunctional families. Akhtar’s movies, like Dil Dhadakne Do, show that families aren’t made for the screen. They are messy, often painful, and almost always complicated. Blood may be thicker than water, but it is rarely, if ever, a guarantee for love and support. Made in Heaven is the direct spiritual successor of Monsoon Wedding, the Mira Nair masterpiece that had people discussing child sexual abuse in their living rooms. The loud, Punjabi contexts aside, both these stories ask uncomfortable questions of their characters and their viewers. It’s easy to be sanctimonious about ‘easy’ conflicts, but what happens when the conflicts exist outside the frame of reference that we are comfortable with? No character is allowed to ‘get away’ with his/her indiscretion, but Made in Heaven is not judgmental. Everyone has their own agenda, and every time you think you’ve managed to understand a character, the show springs a surprise. My favourite storyline, though, is the one revolving around Karan Mehra (played by Arjun Mathur) and his mother. She loves him and defends him from what she thinks can be defended – loans, financial crunch. His homosexuality, however, terrifies her because it forces her to question the limits of her own love. When she beats her son up, one wonders how much of that violence is meant to protect him from a supposedly cruel world, and how much of it is meant to protect her own worldview. There are no easy answers in Made in Heaven. The show also has a fresh take on friendship. For every fight between Faiza Naqvi (played by Kalki Koechlin) and Tara Khanna (played by Sobhita Dhulipala), there is a moment where Tara and Arjun hold each other up. Their friendship is warm and strong, and they are more like a family than their actual families. There is something tender between them, which is not presupposed. It is hard won, and the moral of their story boils down to a simple realisation – blood doesn’t promise loyalty. The show, unfortunately, has gigantic problems. It wants to question misogyny and toxic masculinity, but ends up representing both. In attempting to be liberal, it sometimes feeds the same voyeuristic tendencies it critiques. Whether it is the security camera of Karan’s landlord, Mr Sinha, stripping him of his dignity, or the (rather bizarre) arc that reduces Tara’s conflicts with her own social status as that of a gold digger’s, the overreach reduces real, terrible complexities to ham-handed virtue signaling. This undoes some of the layering it tries so hard to achieve, and is an injustice to the universe the characters have created for themselves. Like the families it portrays, Made in Heaven too forgets that there is something called ‘too much’. A measure of restraint might have reduced the drama quotient, but it would have helped the overarching structure of the story. Critique aside, Made in Heaven is a perfect example of the anti-Barjatya trope. It’s almost vindictive in its insistence to depict every single character as slightly less than ‘good’. It challenges the viewer to ask what is good. 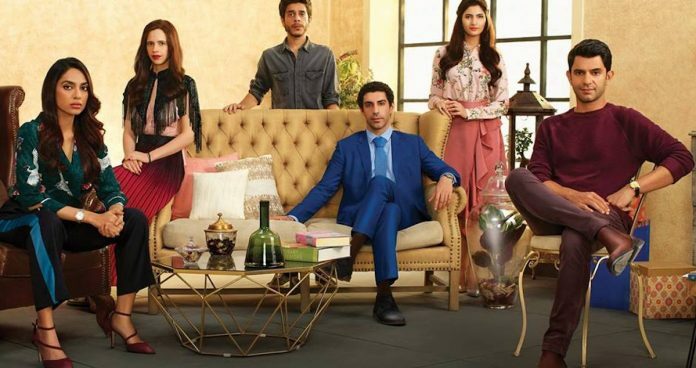 Through its portrayal of the upper-class, glitzy Delhi, the show tries to shatter notions that Indian viewers are familiar with. It’s difficult to wholly like every character, but it’s even more difficult to wholly dislike them.